The dSLT: Digital SLTs (single lens translucent) are a close relative of the dSLR. For practical purposes, they look, act, sound, and take photos like dSLRs. The main difference is that dSLTs don’t have reflex mirrors. Instead, they have a semi-transparent or translucent mirror that doesn’t need to move out of the way. It allows some light to pass through, and bounces the rest up into the camera’s viewfinder. Although Sony didn’t invent the idea, they appear to have fully committed to this technology. Sony has now stopped all dSLR production. Their entire lineup is now dSLTs! Electronic viewfinder: The electronic viewfinder is related to the dSLT, but not by necessity. Sony again has led the charge and has electronic viewfinders on all its dSLTs. Normal viewfinders are optical. You look through a prism that directs light from the reflex mirror to your eye. They work whether the camera is on or off. Sony’s electronic viewfinders are small, high-resolution organic light-emitting diode (OLED) monitors that are used in place of an optical viewfinder. 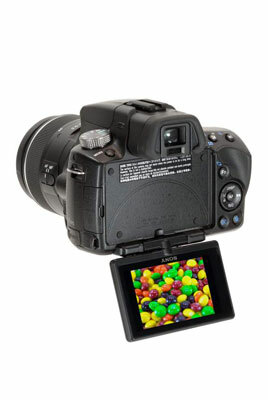 They basically combine the functionality of a standard viewfinder with the LCD monitor on the back of the camera. You can compose and frame the scene normally, view photos during playback, see the camera’s shooting display, and use the menu — all without taking your eye away from the viewfinder. Truly awesome. Articulated monitors: Articulated monitors swing out from the camera back in various ways, so you can creatively position the camera during Live view shooting. The monitors are becoming more prevalent. You won’t often find them on the cheapest entry-level models, but they abound on mid- and higher-end amateur dSLRs. Full HD movies: A few years ago, not many dSLRs even shot movies. Today, to be competitive, a dSLR has to. Not only that, but it can’t get away with shooting only standard-definition movies (640 x 480 pixels). Full HD (1920 x 1080 pixels) is the new standard. Cameras set themselves apart by offering different file formats, file sizes, frame rates, and other specialized movie settings. 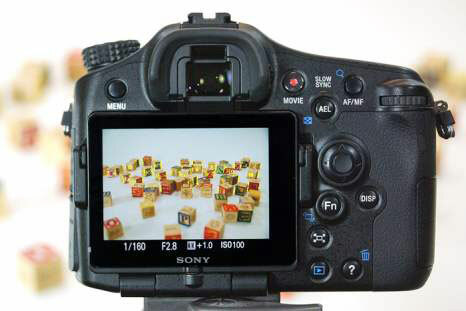 Expanded shooting modes: Some dSLRs offer creative shooting modes. In other words, you’re not limited to the four advanced shooting modes: Program auto, Aperture priority, Shutter priority, and Manual mode. These include Automatic modes, Creative Auto, a plethora of scenes (portraits, action, landscape, night portrait, and so forth), automatic HDR modes, panoramas, 3D panoramas, easy-to-use double-exposure modes, and more. Help! Current entry-level dSLRs have a tremendous number of helpful tools to get you started. This includes features like giving you context-sensitive help when you’re looking at the menu system to a guided shooting mode. 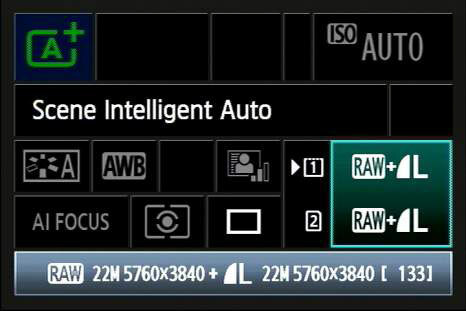 In-camera raw processing: Some digital SLRs let you perform post-capture raw processing in the camera. You can tweak white balance, fine-tune the exposure, resize photos, and save your own JPEGs on the fly and without having to use a computer. In-camera JPEG processing: You may also be able to work with JPEGs in much the same way. Brighten, improve contrast, resize, and so forth. Higher ISOs: Maximum ISOs continue to rise. Entry-level cameras routinely have maximum ISOs of 6400 (not 1600 or 3200), while professional-level cameras can top out at 204800! Higher pixel counts: Pixel counts also continue to rise. Newer entry-level dSLRs have more pixels than professional models from years past. This means that you can take photos and make poster-sized prints without losing quality. You can also crop them and still have a pretty large photo. Multiple memory cards and/or slots: Some dSLRs support more than one type of memory card. Some even support having more than one card in the camera at once. You can configure these setups in different ways. You may want to use them as a single, large card or have a primary and backup. Live view: Live view has become a staple on all dSLRs. Careful, though: Not all Live view shooting modes are good in all situations. 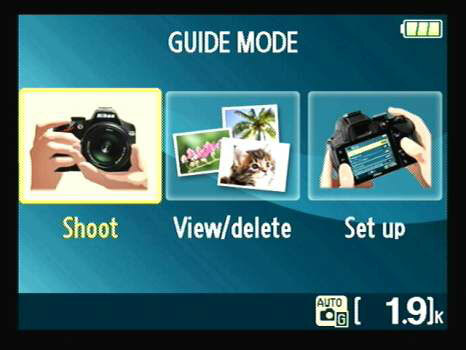 Live view lets you use the LCD monitor on the back of the camera to compose and take shots with rather than the viewfinder. Sony still leads the pack in terms of offering a practical Live-view-on-the-go capability. You point and you shoot. It’s that simple. Nikon and Canon Live view modes take some time to set up, get focused, and shoot with. They work great in the studio. Not so great for birthday parties. They’re getting better, though.